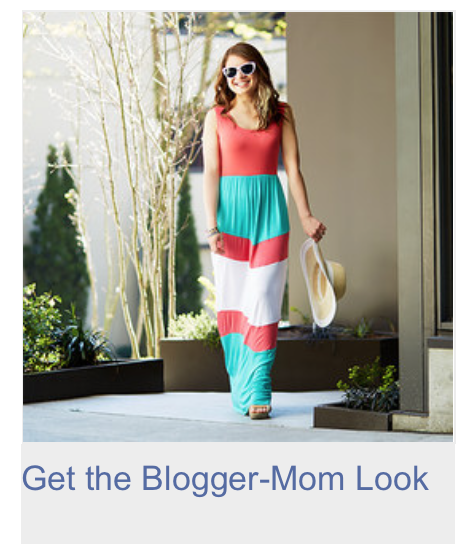 Is this what people think Blogger Moms look like? I’ll take this opportunity to put this rumor to rest. This is what a Blogger Mom looks like. 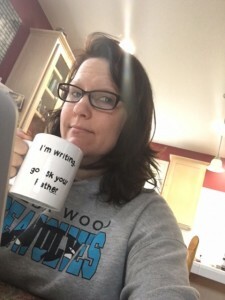 This is what this particular Blogger Mom looks like on a Monday morning after one kid is off to school and the other is sleeping because she was up ill all night. It’s not pretty. Ok, there are the few who are BIG in the Blogger mom arena and they look cute all the time because they go on the Today show. But I promise you, the BIG Blogger Moms make up about 2% of all Blogger Moms. Most of us are just trying to be in community and spill our guts on the internet hoping that someone out in the vast, wide world will relate. A friend of mine recently started a Facebook group for moms who want to be real. Only a couple of weeks old, there are already 324 women sharing what it means to be way less than perfect. I fit into that group quite nicely. Long before the internet, moms were judged by appearance of their families and kept the “real” well hidden. I’m sure the first cavewoman bragged about her Cro-Magnon husband’s skill at killing wooly mammoths while, truthfully, he was smoking grasses outside their den. Is your public persona real, or are you afraid of what other’s will think? Here’s to reality and loving each other for who we are. *A note to Blogger Dads: Do you feel the same pressure as Blogger Moms to look perfect? Be real – but no pictures of you in your tighty-whities please. Some things are better left to the imagination. Hi Andee Found you today while reading archives in Reclaiming Place, You are Here. Nice to get the “be real” word out, and you’ve done it well. I have the coffee mug, the sweatshirt and the hair still waiting for the shampoo and blow dryer going and while there are no kids left at home to get ready for school here, I am remembering those days well, thanks to you! Great ideas here on your site, great to be helping others through what we write and live.